THE last link with the splendid early days of British rock-climbing is still living quietly, surrounded by his mountain photographs, in a Keswick house that looks out over one of the finest views in England. He is Mr George D. Abraham, pioneer climber, photographs and writer and, at 93 years of age, perhaps the oldest living mountaineer. Thousands of climbers must have been brought up on his British Mountain Climbs or The Complete Mountaineer and his other writings of half a century ago. 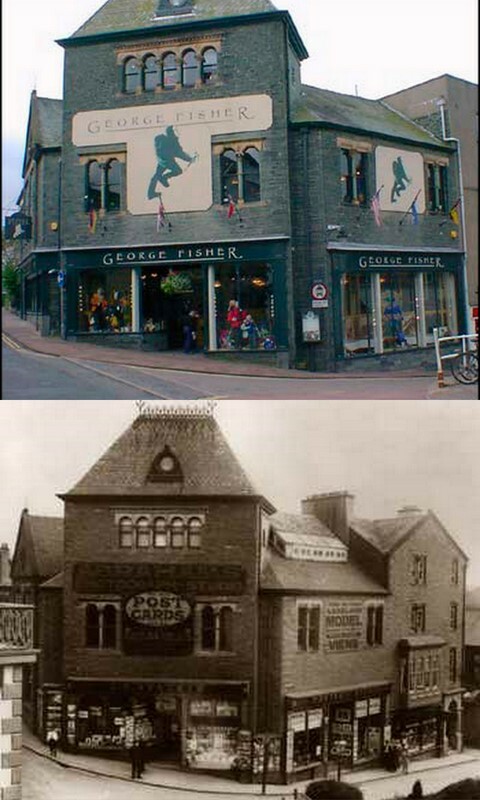 And generations of mountaineers were first attracted to the sport by his thrilling photographs, still displayed in the windows of the family business at Keswick. But how many of the thousands of climbers who pass through Keswick each year on their way to the crags realise that the man who almost started it all is still alive, and that he still lifts his eyes every day to the hills that have been his whole life? 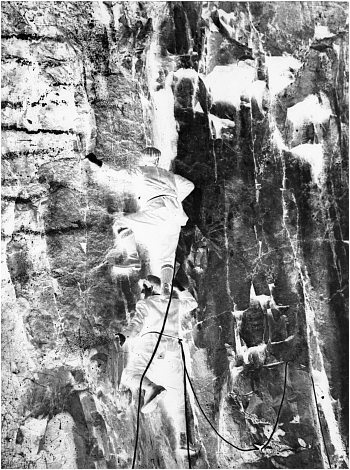 When Mr George Abraham discovered his first new climb in 1890 — Sandbed Gill in St. John's-in-the-Vale near Keswick — there were only about 20 rock climbs in Lakeland. Today there must be nearly 2,000. He climbed with the legendary Owen Glynne Jones and knew all the great men who laid the foundations of our sport —W. P. Haskett Smith, Geoffrey Hastings, W. C. Slingsby, J. W. Robinson and many, many more. But all are long since dead and Mr Abraham is left alone with his memories of great adventures 50, 60, 70 and nearly 80 years ago. And Mr Abraham is not only the very last of the deerstalker and Norfolk jacket pioneers, but the first man to popularise the sport with his photographs and his writings. With his younger brother, Ashley, now dead, he lugged heavy plate cameras into desperate places to picture — for the first time — determined looking men hanging on to rocks by their eyebrows. And the two — the Keswick Brothers as they were called — found new ways up crags in Scotland and Wales as well as in their native Lakeland. When he was in his 70th year Mr Abraham decided to take his wife up one of his most famous discoveries — the Crowberry Ridge on Buchaille Etive above Glencoe. and she told me the other week: "When we were about half way up George said he knew of a good place where we could have our sandwiches, but it turned out to be a ledge about nine inches wide overlooking a vertical drop". This was one of his last climbs in this country but he was climbing and walking in Switzerland up to five years ago. Flying over there every summer and visiting old friends in Interlaken, Grindelwald and Zermatt. And there is a jagged aiguille high above Chamonix that still bears his name. Remarkably, his memories of adventurous days 50 or 60 years ago are almost as sharp today as the wonderful photographs that line the walls of his home. He even remembers his very first climb nearly 80 years ago — Pillar Rock by the old Slab and Notch with the help of his mother's clothes line. "There were some Alpine Club men on the Rock that day" he told me "but instead of frightening us away or laughing at us they offered to lend us a proper rope and gave us all the help they could. I remember thinking at the time 'What wonderful men!' and I made up my mind there and then to become a climber". How well George Abraham succeeded in his aim may be seen from a study of the guide books for most of the climbing areas in Britain, for they show him as the leader of many first ascents and the companion of O. G. Jones in many of his more desperate adventures. One of these was the first ascent of Walker's Gully on Pillar Rock — "the last big unclimbed gully in Lakeland". They left Wasdale Head one January morning and walked to Pillar through a storm of rain and sleet — Jones, George Abraham and A. E. Field. The climb was iced with a waterfall splashing down between the icicles and the party was wet through and frozen before they reached the limit of previous exploration. Jones led with George Abraham as his second and to climb the crux took off his boots and his Norfolk jacket and used a rope loop to help him up the worst corner. And thus, with the gully era at an end, was the way opened for a start on the great face climbs of Lakeland and elsewhere. This combination of Jones and Abraham was perhaps the most formidable in British mountaineering at that time and between them they privately laid plans for an attempt on Kangchenjunga in the Himalaya. But before they had finalised their plans Jones fell to his death on the Dent Blanche, and the development of British climbing was held back for years as a result. George Abraham tells me that Owen Glynne Jones was the finest climber he had ever known, either amateur or professional and he was including the great Siegfried Herford, leader of the first ascent of Central Buttress on Scafell. "Jones was immensely strong in the arms and fingers", he said, "but he was also extremely neat in his footwork. The young climbers of today still don't use their feet enough and rely too much on their arms". 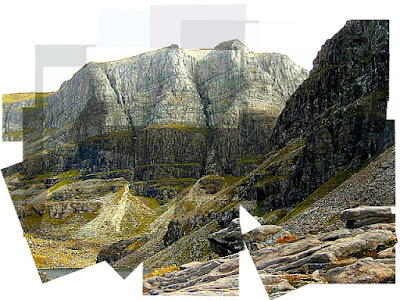 George Abraham was involved in a great deal of exploration in Skye and in the English North Wales his favourite climb remains The New West on Pillar in his beloved Lakeland. 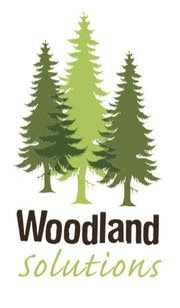 Discovered by him and his brother in 1901. And it is still a classic route — not a hard climb but the easiest way up difficult rock and a wonderfully natural route. It was the last climb the two brothers did together in the Lake District in 1936. 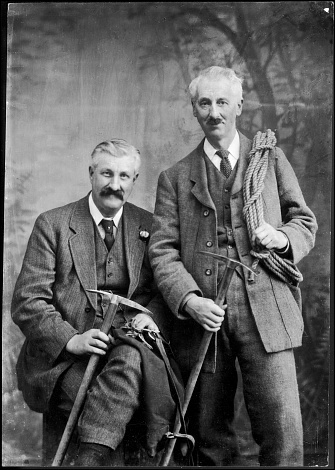 The very first new climb discovered in Lakeland by the Keswick Brothers was Sandbed Gill in the hills to the east of Keswick. They climbed it in 1890 when George was 19 and Ashley only 14 and Mr Abraham still clearly remembers the day. "But I can't remember what we called the climb except that it wasn't Sandbed Gill" he told me. 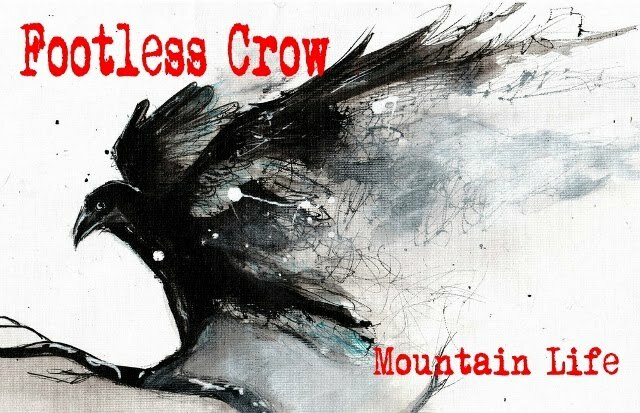 "People often altered the names of our climbs and sometimes put our own name on them — those two buttresses on Dow Crag, for instance. We never called them Abraham's Routes". "I remember having a drink in the gully above St. John's in the Vale when we came to a steep bit about half way up with a waterfall coming down it, and when we got up the pitch we found a dead sheep lying in the water. That night I was very sick". And he clearly remembers their first ascent of Walla Crag Gully in Borrowdale in 1892. On this climb the brothers made use for foothold of the withered root of an old holly tree projecting out of the vertical rock, and as their weight came on the twist of dying fibre it sagged but did not snap and they were able to reach the holds above. Perhaps 60 years later, after I had repeated the climb, I happened to be chatting to Mr Abraham about it. And his first question was: "Is the old root still there?" It was very pleasant to be able to tell him that it was, that it still creaked ominously, but that it seemed likely to remain there for ever. Mr Abraham was born in Keswick and went to school in Manchester where he also studied art. His father, Mr George Perry Abraham, had established a photographic business in Keswick but George's first ambition was to paint Lakeland scenery rather than photograph it. In his study today hangs a splendid oil painting of Skiddaw as seen from Ashness Bridge done by young George when he was only 14. But eventually the young painter went into the family business where he was able to use his gift for colour in other ways. For example, another remarkable picture in his Keswick home is a magnificent photograph of the Matterhorn, taken by Mr Abraham and coloured by him — one of the best mountain pictures I have ever seen. His photographs mostly fall into three categories; exciting pictures of climbers balanced on tiny holds above tremendous drops or jammed in dark gullies or straddling knife edges of rock; studies of the giants of the Alps; and quieter, restful pictures of the Lakeland fells at all seasons of the year. But his most successful picture from a commercial point of view and perhaps his own favourite is a photograph of Crummock Water, titled 'Solitude', taken on a quiet November day 60 years ago. Copies have gone all over the world. 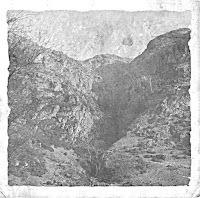 To take their pictures on the Lakeland crags the Abraham brothers had to manhandle heavy equipment up the rocks and sometimes had to do their own developing and printing in shaded tents close to running water. Some pictures show the only photographs in existence of pioneers like Owen Glynne Jones and J. W. Robinson, the Cumberland climber, whose memorial is the Robinson Cairn near Pillar. 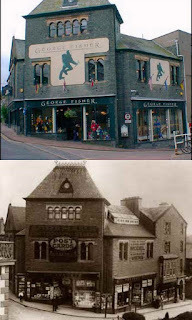 Now and Then: The Abraham Studios in Keswick now George Fishers. Very many people have been attracted to the hills and crags by the Abraham pictures displayed outside their Keswick shop and the photograph that first drew me to the crags as a boy was one of a climber on Eagle's Nest Ridge on Great Gable. And Mr Abraham still remembers taking that picture and has told me the name of the climber and most of the details of that day generations ago. He and his brother began their climbing on Castle Head near Keswick in the days when rock climbing was a sport practised by only a handful of people. Mostly university men. They first began exploring the smaller crags in and around Borrowdale and then, as they became more expert turned their attention to the biggest crags and then to Scotland and Wales. And all the time they were pioneering, photographing and writing. The crags looked much different in Mr Abraham's day. "There wasn't a scratch or a mark on them" he told me "and you could climb almost anywhere and be on rock where nobody had ever been before. But there was a lot more grass and lichen about and sometimes we had to do a lot of gardening to find the holds". Mr Abraham has held office in many of the big climbing clubs but he is chiefly proud of the fact that he is an honorary member of the Alpine Club. But he was also the founder president of the little Keswick Mountaineering Club and walked up to the club hut high in the hills for the opening ceremony when he was over 80. The old man is also proud of a 'signed photograph of the late Prince Consort of the Netherlands. Many years ago he was asked to take the Prince for a walk over Scafell Pike, he and his wife, the former Queen Wilhelmina were holiday-making in the Lake District at the time. They went up from Seathwaite and came down into Langdale, the cars having been driven round. 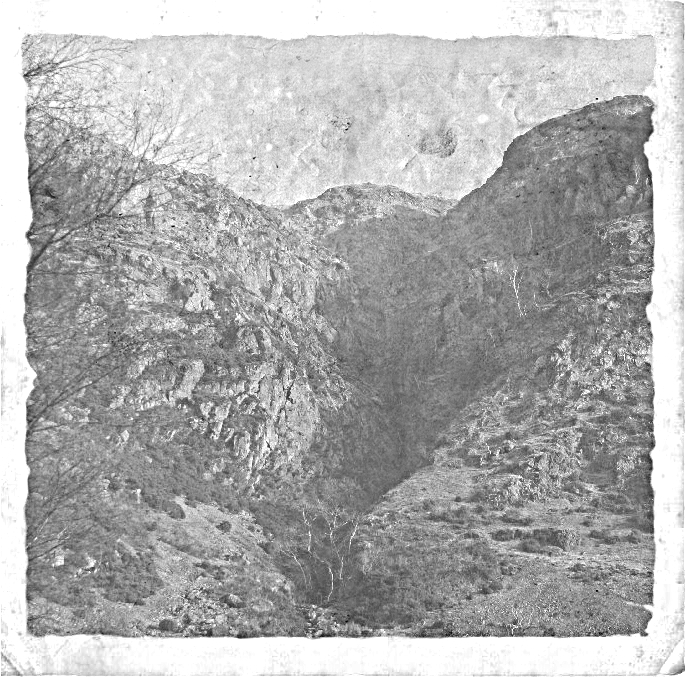 And as they came down Rossett Gill they found the Queen sitting sketching "in a tatty old woollen dress" not far from the sheepfold in Mickleden. Today Mr George D. Abraham can no longer climb the rocks and roam the fells but his memory and that of his brother will always be kept green among climbers by the well known Keswick Brothers climb on Scafell; two climbs on Dow Crag near Coniston that bear their name; many fine routes in Lakeland, Wales and Scotland and their photographs and writings. But Mr Abraham can still look out on the Lakeland he has helped so many people to enjoy and still look back with pleasure on many, many wonderful days of high adventure and mountain beauty. 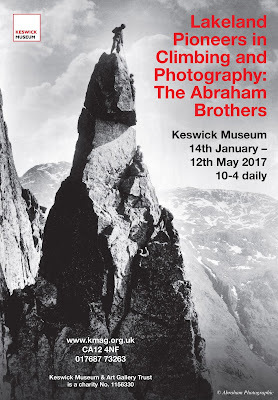 An exhibition of Abraham Brothers photographs is currently running at the Keswick Museum until May 12th.